The Office of Homeland Security is social! Prince George’s County Office of Homeland Security and Emergency Management wishes you a safe and happy 4th of July. We know you are excited about hitting the lake, cooking out, fireworks, and spending the day with your family. We want to remind you of a few things. To enjoy holiday festivities we ask that you attend one of the public and municipal fireworks displays that will occur throughout the County. The following locations will conduct approved fireworks displays. Please visit these respective websites for additional information. Some of these venues may require an admission charge. 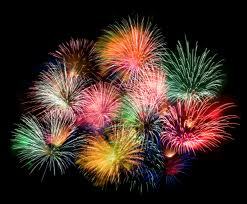 The City of Laurel will hold a day long Fourth of July celebration that will end with fireworks on July 7th. 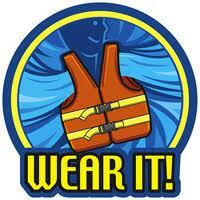 Second, we want you to be safe as you hit the water. From the Maryland Department of Natural Resources (DNR) and the Natural Resources Police (NRP). Last year, Maryland experienced an unusually high number of boating deaths. Over the summer, NRP will focus their enforcement efforts on those activities that contribute to boating accidents, such as alcohol, negligent operation, bow riding and navigational violations. NRP recommends that swimmers stay within designated swimming areas with lifeguards on duty whenever possible. Lifeguards keep all swimmers informed of any changes in water conditions and are trained to respond if an emergency occurs. When swimming outside guarded areas obey all warning signs that alert swimmers to dangers and be aware of any surrounding signs or markers that indicate current water conditions. Never swim alone or while under the influence of alcohol or drugs. Pay special attention to small children and use safety devices such as life jackets on children or other individuals who cannot swim. Carry a cell phone or have other ways of contacting emergency personnel if a situation arises. REACH the person in trouble by extending a releasable item, such as a pole, line or rope to pull them to safety ─ but not by hand, as the rescuer could quickly become another victim. THROW an object that floats to the victim if they are unreachable. Life rings, PFDs, coolers or plastic jugs are suitable floating objects that can keep a troubled swimmer afloat until rescuers arrive. ROW to the victim using a canoe or any other safe watercraft. The rescuer must wear a life jacket. Once the victim is nearby, a rope or paddle should be extended and used to tow the victim to shore if possible. GO to the victim by entering the water as a last resort and ONLY if properly trained. The rescuer should bring an object to keep the victim afloat and to prevent being pulled under. More information on boating safety is available at dnr.maryland.gov/boating/safety. Third, we want you to be extra careful before, during and after you fire up the grill. 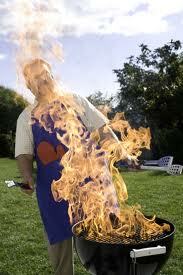 Here are four articles on grilling safety. Fourth, remember to hydrate yourself and those around you. Check on the elderly, children and pets and have a great holiday!